Who are these people? And where are they? I'll have the full scoop for you on Thursday. 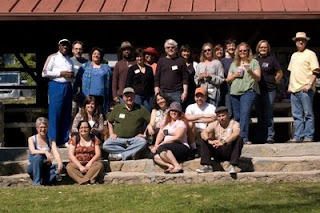 Pasadena-area bloggers gathered Saturday for one of our occasional picnics, this time at Farnsworth Park in Altadena. 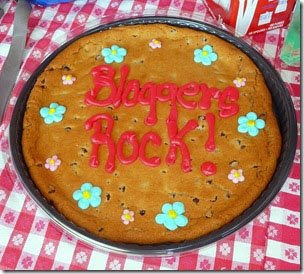 Many thanks to the Altadena bloggers for coordinating this great event! Everybody signed in. That's Deena Willis (left) and Susan Carrier. People came and went from noon to just after 5 p.m., and the food and camaraderie were plentiful. 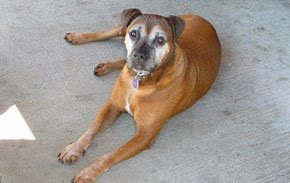 This sweet companion of Kathy Christie Hernandez was the first to greet me when I arrived. Last year's queen of the Doo Dah Parade, Michelle Mills (left) and this year's queen, Julie Klima, are bloggers. For the next get-together in late spring, I'm planning a City Hall tour and picnic in the courtyard. Here's a listing of free events sponsored by the City of Pasadena the week of March 30. 6 p.m. -- The third in a series of public workshops about revisions to Pasadena’s tree protection ordinance will focus on the regulation of trees on private property. * 7:30 a.m. – Get the kinks out on a morning walk around the Rose Bowl Loop with Pasadena Mayor Bill Bogaard and special guest Michael Ross, CEO of Pasadena Center Operating Company. Meet at Gate A. * 1 p.m. – This week’s free film in the Donald R. Wright Auditorium at Pasadena Central Library, 285 E. Walnut St., is “27 Dresses” starring Katherine Heigl as Jane, a young woman who has served as a bridesmaid 27 times and now questions whether she should stand at her sister’s side as her sibling marries the man Jane secretly loves. 6:30 p.m. – Pasadena City Councilwoman Margaret McAustin will host a District 2 meeting about the city budget for Fiscal Year 2010 (July 1, 2009 to June 30, 2010) with special guest City Manager Michael Beck at Longfellow Elementary School, 1065 E. Washington Blvd. 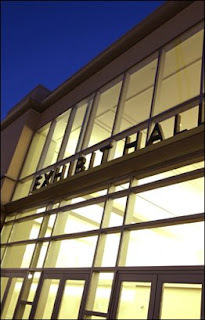 Celebrate with us as we mark the grand opening of the newly expanded Pasadena Convention Center, 300 E. Green St. On Friday at noon we’ll have the official ribbon-cutting ceremony; Saturday from 10 a.m. to 8 p.m. you’ll get free admission and parking for the Home Show and Real Estate Expo with distinctive vendors, cooking demonstrations and much more; Sunday from 10 a.m. to 6 p.m. the Home Show and Real Estate Expo continues; and also on Sunday it’s our annual One City, One Story author visit (see specific OCOS events below). 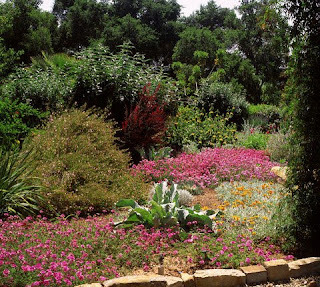 9 a.m. to noon – Discover the best choices for Pasadena’s dry climate at the Trees and Shrubs Workshop sponsored by Pasadena Water and Power at the Salvation Army Pasadena Tabernacle, 960 E. Walnut St. Learn effective ways to prune, water and develop healthy root systems. Reserve your spot at www.cityofpasadena.net/savewater. As this year's One City, One Story community reading celebration draws to a close, don't miss these final events! Sit in on a book discussion, watch professional chefs whip up some Mexican fare, learn from an expert about one of the book's themes and meet the author! * 10:30 a.m. – Attend a book discussion about “The Hummingbird’s Daughter” at Allendale Branch Library, 1130 S. Marengo Ave.
* 11 a.m. -- Chefs from Old town Cooking School will present Mexican cooking techniques (and samples!) at San Rafael Branch Library, 1240 Nithsdale Rd. 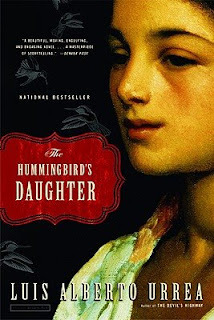 2 p.m. – Attend a book discussion about “The Hummingbird’s Daughter” at Hill Avenue Branch Library, 55 S. Hill Ave.
6:30 p.m. – Attend a book discussion about “The Hummingbird’s Daughter” at Hastings Branch Library, 3325 E. Orange Grove Blvd. 11 a.m. – Learn about the religious aspects of The Hummingbird’s Daughter during a presentation by Dr. Juan Martinez in Payton Hall at Fuller Theological Seminary, 135 N. Oakland Ave., followed by a book discussion. The event will be offered in Spanish at 2 p.m.
3 to 5 p.m. – Luis Urrea, author of “The Hummingbird’s Daughter,” will speak at Pasadena Convention Center, 300 E. Green St., about his experiences researching and writing the book and will answer questions from the audience. Free parking! Groundbreakings Aren't as Boring as They Sound! I’ve always said that from a media perspective, groundbreaking ceremonies are right up there with ribbon cuttings and check presentations. Newspapers rarely dispatch photographers to these kinds of events, so I take lots of photos and send them to media with captions after the fact. Some print them, some don't. My work is complete on our most recent groundbreaking ceremony on March 17, so here are a few photos for your viewing pleasure. First, this is all about cleaning up four wells in the Monk Hill area of Pasadena, in that funky "index finger" area at the top of District 1 in Northwest Pasadena. It's an interesting challenge setting up for such an event in the middle of a big empty space. Thankfully I wasn't in charge of logistics! That was staff from Pasadena Water and Power. I had the entire event videotaped, and I asked my KPAS crew to get a few interviews in advance to edit into the program. Here's our city manager, Michael Beck, on camera. That's Stuart Johnson doing the interview and Michelle Maglionico behind the camera. I'm expecting a final version in the next day or two, and then we'll put it on KPAS. Pasadena Water and Power staff provided educational information to the many people who attended. ..and then the ceremony began. Mayor Bill Bogaard served as master of ceremonies. District 1 Councilwoman Jacque Robinson presented a certificate of appreciation to Tecumseh Shackelford, a neighborhood leader. Dig (no pun intended) the Brady Bunch grass. Left to right: Steve Slaten, NASA's project manager on groundwater cleanup; Keith Takata, director of the Environmental Protection Agency's Superfund program for Region 9 (Pacific Southwest); City Councilwoman Jacque Robinson; Dr. James Wright of NASA; Mayor Bill Bogaard; and Phyllis Currie, general manager of Pasadena Water and Power. The area is surrounded by residential neighborhoods, which will be affected by the construction. To help shield neighbors' view of the project, evergreen trees have been planted and green-screen fence installed all around the project. Here's the view from the street. This is a great example of intergovernmental cooperation: NASA and the City of Pasadena have worked closely together on site selection and design of the treatment plant with support from the EPA, California Department of Toxic Substances Control, Los Angeles Regional Water Quality Control Board and California Department of Public Health. NASA is funding construction and operating costs; the City of Pasadena will own and operate the plant. A contract for construction has been awarded and completion is anticipated in late 2010. I Left Out a Field Rep! For old time's sake, here's a photo of many of the alums when we had dinner shortly before Christmas in 2007, with our dear Judith Zitter, seated third from the right. Those in this photo who weren't able to be at our dinner at Jay's the other night are Judy Kent, seated at far left, who is Mayor Bogaard's current field representative; Suzanne Berberian, seated second from right, who was field representative to Bill Paparian and has worked for many years now as a community liaison at Pasadena Unified School District; and Joyce Streator, standing at far left, who was field representative to Chris Holden until she successfully ran for council in District 1. She's retired and very busy! I have always worked closely with the city council field representatives. After all, we have all the community relations in common! One of the first things I did when I started working here in January 1991 was to call each field rep, introduce myself and ask for a guided tour of each of their districts. The field reps have changed over the years as new council members have come and gone. Here's a photo of the current field representatives taken shortly before Christmas when we had lunch together. Left to right: Tina Williams, District 1 (Jacque Robinson); Margo Fuller, District 2 (Margaret McAustin); Taka Suzuki, District 6 (Steve Madison); Vannia De La Cuba, District 5 (Victor Gordo); Judy Kent (Mayor Bill Bogaard); Pam Thyret standing, District 7 (Sid Tyler); and Rhonda Stone, District 4 (Steve Haderlein). Jackie McIntyre, District 3 (Chris Holden) wasn't there but I'll snap a picture of her one of these days! Margaret wins! I have emailed her about her fabulous prize. The photo was taken inside Pasadena's steam plant many decades ago when everything was mechanical. This worker is cranking a wheel to turn up the heat to boil the water to create the steam to rush through the pipes to spin the turbines to generate the electricity. I had to miss ArtNight Pasadena in March and October last year, so this time around I was determined! On Friday night fourteen arts and cultural institutions threw open their doors for free for our 21st semi-annual event. Jan Sanders, Stephanie DeWolfe and I set out at 6 p.m., starting at City Hall where there was a jazz combo, bistro, information table, shuttles and friendly people to answer questions. Jan, at left below, is our library director, formally known as director of information services; Stephanie is our deputy director of planning and development. We hopped a free shuttle and headed off to Side Street Projects. Side Street had a huge array of the funkiest vehicles I've ever seen, and on display that night only. We stepped aboard Side Street's Woodworking Bus where children learn basic woodworking techniques. There's a wall of blocks that children have personalized. Then we hopped another shuttle and headed to Pasadena Museum of California Art, where everybody got free admission to their remarkable exhibition titled Data + Art: Science and Art in the Age of Information, curated by Jet Propulsion Laboratory's visual strategist Dan Goods and Mars public engagement outreach coordinator David Delgado. All I can is Wow. Dan and David have translated scientific data into new art forms and challenged everyone's assumptions about where beauty can be found. From closeup three-dimensional images of Mars to digital modeling created by keywords and rhythms captured on a computer, this exhibition was astounding. Our final stop was Pasadena Central Library, where a Mexican fiesta was taking place to celebrate this year's One City, One Story novel "The Hummingbird's Daughter." 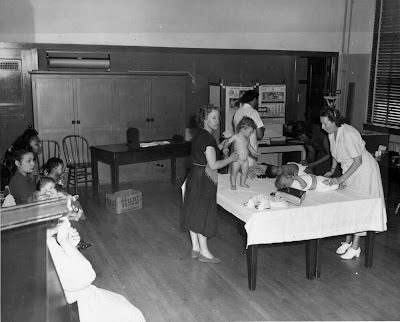 There was something happening in every room, from live music to folk dances to crafts. Many of the adult participants in the Human Services and Recreation Department's Adaptive Recreation Program were displaying their fiesta-themed art in the library's Centennial Room. So that was my ArtNight experience! There were plenty of other venues that had performances and exhibitions going on, but we decided to choose three venues, go to dinner and call it a night. I'm sure there were others who did the entire circuit, which I did one year. It's a pretty ambitious undertaking. I'll give you the skinny on Thursday. Bicycling in Pasadena: Tell Us What You Think! Riding a bike is a great way to exercise and save on gas while getting a closer look at our beautiful city. The more people who ride bikes, the closer Pasadena comes to meeting its green goals. By updating the “Century of Bikes” bicycle master plan this year, the Transportation Department wants to make Pasadena one of the most bike-friendly communities in the nation, and you can help! Whether you ride regularly, would like to ride more or plan on becoming a rider in the near future, take a minute to fill out this simple, eight-question survey. All input will be reviewed by the Bicycle Master Plan Advisory Committee – a group of local cyclists, advocacy groups, bike shops and city commissioners with a goal of updating the plan by December 2009. We’ve made lots of progress since the plan was first created in 2000. Sixty lane-miles of bike routes have been created citywide, and a bike map promotes available routes, parking and safety. More than 500 bike racks line the city’s major streets and hundreds more can be found at retail areas, schools, parks, community centers, libraries, the Rose Bowl Stadium, shopping centers and Metro stops, including a new storage area at the Allen Avenue Gold Line Station. Pasadena’s Green Building Ordinance even encourages developers to include bike racks and showers in their designs. Even with these successes, more can be done! The team is looking for more innovative ideas for helping beginning and experienced bike riders feel more visible, safe and well connected with the regional bike network. Get involved! For more information call Rich Dilluvio, our resident expert on all things related to bikes in Pasadena, at (626) 744-7254 or email him at rdilluvio@cityofpasadena.net. You'll find lots more information about biking in Pasadena here. March 10 is Election Day! Voters will make their choices for Pasadena City Council Districts 3, 5 and 7, and PUSD Board of Education seats 1, 3, 5 and 7. Pasadena Convention Center will be abuzz that evening with the counting of the ballots. Beginning at 8 p.m., election coverage will be broadcast live on 55 KPAS and via streaming video. On Pasadena televisions where cable is connected directly to the set and not through a cable box, KPAS can be found on channel 1. Election results will also be updated continually that evening at this site. And here's something new this week: If you have an iPhone, Treo, Blackberry or some other mobile device with Internet capability, enter mobile.cityofpasadena.net and you'll see election results as the second option listed on the screen! For information on polling locations or to view your sample ballot pamphlet, call the City Clerk's Office at 744-4124. Composting helps improve soil structure and water conservation, and reduces the amount of waste that would otherwise go to the landfill. If you don't have a compost bin yet, or if you do but want to get an additional one, come over to the Victory Park Farmers Market in the Pasadena High School parking lot this coming Saturday from 8 a.m. to noon and the Public Works Department will sell you one for dirt cheap! Soil Saver compost bins will be available for $40 each, payable by cash or check only. Public Works staff will provide information on how to improve plant growth by using kitchen scraps and lawn cuttings. You'll also learn how to cultivate worms! Composting is a great investment for your wallet, your household and our Green City! The EPA has a nice little web page with some tips and more info about composting. Still have questions? Gabriel Silva is our recycling coordinator. His number is (626) 744-4721. Lace on some hiking boots and enjoy the Arroyo Seco! The Parks and Natural Resources Division of the Public Works Department will hots a series of free events this month to help you explore the past, present and future of one of Pasadena's most popular natural areas. 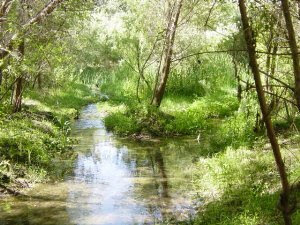 Environmental educator Mickey Long will offer an illustrated presentation about the Arroyo Seco ecosystem Friday, March 6, from 7 to 9 p.m. at La Casita del Arroyo, 177 S. Arroyo Blvd. Which plants and animals live here, where do they hide and why is that important to us? The event will continue Saturday, March 7, with a leisurely stroll through the Arroyo Seco from 8 to 11 a.m. You'll touch and smell plants to discover how texture and scent ensure their survival, explore the habits of local critters and find clues letting us know they exist. The walk will begin at the Lower Arroyo parking (enter at Arroyo Boulevard and Norwood Drive). Historian and author Elizabeth Pomeroy will detail the Arroyo Seco's rich history Friday, March 20, from 7 to 9 p.m. at La Casita del Arroyo. She'll trace early humans' use of the stream, from the days of the Tongva Indians to the settlers who valued the area as an ideal spot for agriculture, recreation and simple living. 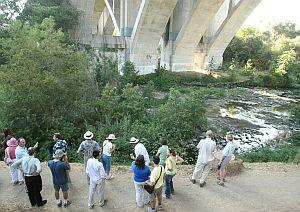 This event will continue Saturday, March 21, from 8 to 11 a.m. with a walk through the Arroyo Seco where Pomeroy will point out traces of old buildings and dams, and provide a glimpse into the Arroyo Seco's history. You can attend all of these events or any portion of them, including walks without the lectures or vice versa. Best of all, they're free! Take a look here for more information or call (626) 744-4321. The mature oak tree that fell over a couple of weeks ago was first chopped up and then removed altogether. Only the stump remains. It will be replaced by another tree in due time. Sometimes the trunks of fallen city-owned trees have been recycled. An example: the wooden benches that grace the eastern banks of the Arroyo Seco. I asked my go-to certified arborist in the Parks and Natural Resources Division of the Public Works Department what was to come of the fallen tree. She told me it would be turned into mulch, and that interested people can call her about it.